Women in the west have always been more privileged in terms of their ability to go out, work and be financially independent. However, most women still had to struggle for years against patriarchal standards or a male chauvinist society. Gender discrimination in the workplace has always deterred women from reaching the top hierarchies in corporate and state institutions. Fortunately, times have changed over the years, and with increased awareness, women are much more empowered today and enjoying all the career growth that they deserve. Whether women choose to remain homemakers or they decide to run organizations, the need to style in the right manner will always be there. That being said, styling for women in executive roles is much trickier. Many women who are new to the corporate circuit find it hard to dress in the right manner so that they blend well with the overall corporate culture. A woman needs to be careful to neither overdress nor under-dress. 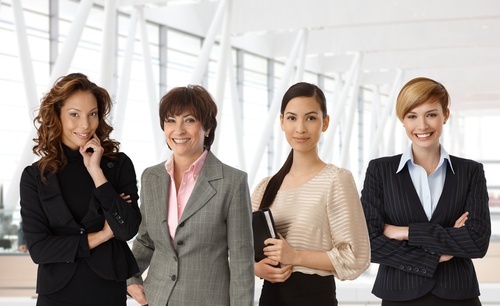 Here is a quick style guide for women in executive and leadership roles. You are not going for an excellent photo shoot or a banquet dinner. You will be required to move around, give presentations and be on your toes. You attire from clothing to accessories to shoes should be all about comfort. Something that you can manage efficiently and can carry around without wearing about sweating in the heat or your clothes being ill-fitted. Pick a pair of shoes that are comfortable for longer walks. Get a bag where you can neatly organize all your necessary supplies such as phone, stationery, tabs and notebooks, keys and any other essential belongings, and You would not want to spend 30 minutes finding a pen in your oversized tote, while you have to answer twelve emails and sign fifteen documents. It is essential to be fashionable, but it does not mean to follow every trend other the sun at your workplace. Even if a neon orange lipstick, purple peekaboo locks, and a bright digital print tunic are the hottest trends, leave them for the girl’s night out and movie nights. You need to look classy and professional at work. Pick an outfit in one or two solid colors. Black, grey, white, Reds and blues are the safest bets. Make sure whatever you wear is well tailored and complements your body. Ideally, take a full sleeve jacket on whatever you wear to look professional. Accessories are essential but don’t go overboard with them. Avoid wearing longer earrings and stick to studs and a tiny pendant. Pearls or a single diamond is best. Wear as fewer rings as possible and do not wear anything that hinders your typing or working process. Invest in a classy watch to add oomph to your executive persona. A Rolex Sea Dweller would be a perfect choice. Get a leather bag with adequate pockets that allows you to organize all your belongings properly. A leather binder would be a plus.